Before I got to really dove into the music, I was drawn to the heart of this artist. He literally worked his way to Nashville as he moved from the west coast, doing gigs wherever he could in order to keep gas in the car and food in their bellies. And then, when he landed a contract he held firm to his musical styling and did not try to conform to a more standard radio format. That’s something to be admired in today’s get-famous-quick atmosphere. 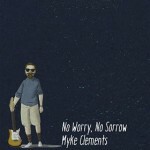 His debut album embraces simplicity and distinctiveness. The songs are a reflection of a faith born of trials and tribulations that were (or can be) faced with peace and even joy. I have found it to be a pleasant and uplifting album. The track, “Simple,” really sums it all up well with it’s gospel message of hope and salvation formed around a bouncy-hand-raising-soundtrack. It’s a tough job to cajole emotions without works, but I think he does that well. I like the ambient sounds of “Have Peace” as it gives you that feeling of rest and reflection. And then, “For There Is Hope,” which has a very big soundtrack to along with the enormous feeling of hope emanating from note to note. I am also drawn to C183 a more guitar-focused instrumental. All together, it has be an extreme pleasure to listen to even if there are few words to describe it. It is certainly clear to me that Myke has the gift of creativity and that can be used in many ways. Singer-Songwriter Sara Groves returns after a long hiatus with a new, deeply personal album titled “Floodplain.” Now a veteran artist, Groves has grown in her own faith and her life experiences have given here a unique perspective that she now writes about. I love how Sarah was quoted as saying, “If I avoid the cup, I also miss joy and provision. If I drink it down, I will ‘taste and see that the Lord is good.” It’s a healthy perspective on the challenges of life and how we can lean into God for support and encouragement. 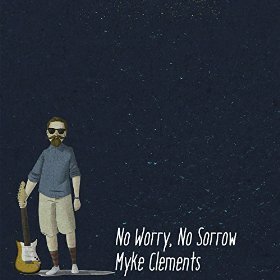 The song, “Enough,” exquisitely reflects on these “patches of joy and stretches of sorrow.” The title track likewise has a tender sentiment as she focuses on others with a caring heart. It likely flows from and with her desire to be the hands of Jesus with the International Justice Mission. “Floodplain” is an introspective look at the world around her and what her part it is in it all. These are words we can grow by as well and I am confident that she’s spoken to many already. 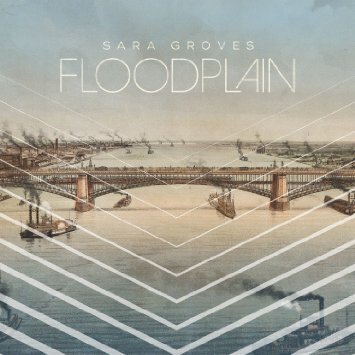 Check out the official Sara Groves website for more on “Floodplain” and Sarah herself. 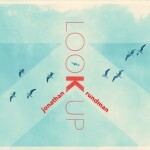 It’s hard to believe, but according to his band-camp page, “Look Up” is the first all-new album for Rundman in over a decade! That’s puts a bit of perspective on my own age as I’ve long admired his music. Of course, Rundman is not one to follow a prescribed path when it comes to music, whether it’s a 52-song concept album (Sound Theology) or the more recent reissue of “Heartland Liturgy,” he’s outside the box in a good way. I occasionally prefer the more folk infused lyrical songs like you’ll find on “Look Up” which extend beyond the average radio-cut of contemporary pop. I did not know anything about Nikolaus Rungius, but I like the fact that this song inspired me to go out and find out more about him. The lyrics are posted on the web . I like the perspective of “Second Shelf Down” as I have recently gone through a similar experience of finding family air looms that have so much more meaning now than they ever did. It was an awesome discovery to find my grandmothers bible and letters from my mother’s youth as well. They are precious things we put out as reminders of where we’ve been. The song “Painter” is a very intriguing story, but the lyrics do not give much up on the details. Aside from the story line though, I like the tempo and the echo of guitar in the background. It’s a cool track with a bit of pedal steel, vibraphone, and synth. Lastly, “Home Unknown” is just cool. I love the instrumentation on this song with the banjo, mandola, and harmonium. It fits well with the overall theme and Rundman’s roots which is another part of his music that I have always appreciated. You can check out http://jonathanrundman.bandcamp.com/album/look-up for more on the album, including audio samples. The Frye’s are an exemplary illustration of a commitment to family, a pillar, that’s crumbling in the wake of social “advancement.” Their bio tells it all when they explain how their structure and cohesiveness was considered “weird” by contemporary standards. Their story alone is inspiration for other families. 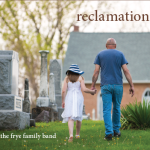 Musically, the new EP, “Reclamation,” is a nice collection of faith-filled songs that also inspire. I particularly like the range of musical instruments and the variety of vocals. One of my favorites is “All In,” which is just a beautiful sounding song with so much heart. 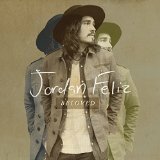 Another is “Completely Yours,” with the harmonies and the grace filled message. “Reclamation” is a enjoyable EP with a mild acoustic soundtrack and positive, uplifting messages. A perfect combination for inspiring family moments. For more on the Frye’s check out their music and ministry at http://fryefamilyband.net/ or http://www.familyfirstministries.net/.